…and why I’m glad I did. It’s not all technical… Who knew?! Last year, Pycon7 was held right about the time I joined 2ndQuadrant. Seeing as I was new to the technology AND the Italian language (note: there was an English track), I opted out of attending. Well, after attending Pycon8, I can say that I won’t make that mistake again! Over the past year working in the Open Source community, I’ve learned more technical information than I could have ever imagined. Even then, attending a technical conference and understanding (completely) technical talks seemed a little far-fetched. Or so I thought! Since being introduced to the wonderful world of Open Source, PostgreSQL, and numerous other technologies – I’m continuously fascinated by the way that the communities intertwine. These technical communities are more than just the technology they use – they’re full of collaborative community advocates! There was even a ‘Community’ track at Pycon8. There were interesting talks that were outside the technical box such as: Be(come) a Mentor! Help Others Succeed!, Don’t try to look smart. Be smart, and several more! It’s also always fun to see your colleagues and friends give talks at conferences. Not to play favorites… but the talk presented by my colleagues Giulio Calacoci and Francesco Canovai – Disaster Recovery: A Series of Unfortunate Events – had to be my favorite. Joined by our own maestro Leonardo Cecchi, their talk was informational, interesting AND fun! 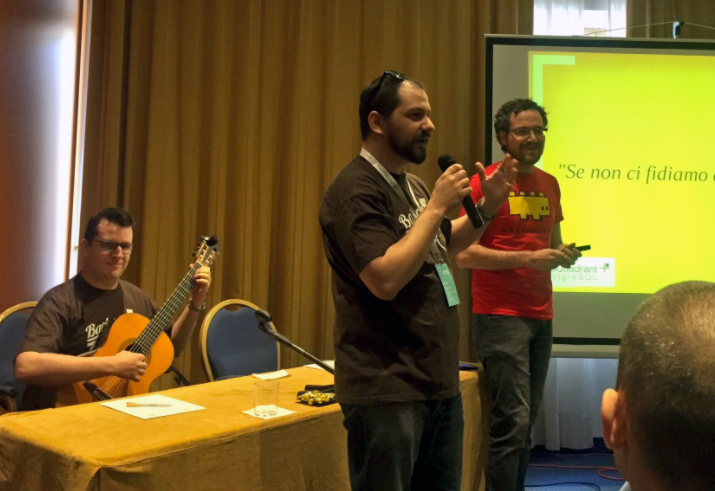 Giulio and Francesco expressed the importance of Disaster Recovery tools (such as Barman) by relating them to fairy tales we all know and love, while Leonardo played his guitar in the background. Other interesting talks I attended were: PostgreSQL su NFS: miti e verità [PostgreSQL with NFS: Myths and Truths] given by Jonathan Battiato, Taking care of PostgreSQL with Ansible by Rubens Souza, and Python e PostgreSQL, un connubio perfetto [Python and PostgreSQL, a perfect blend] by Marco Nenciarini. Oh, and who could forget.. Me.. </ embarassed_emoji > Just kidding! I was lucky enough to be able to represent 2ndQuadrant during the recruiting session and talk about my personal story of joining the Open Source world and why I love it. 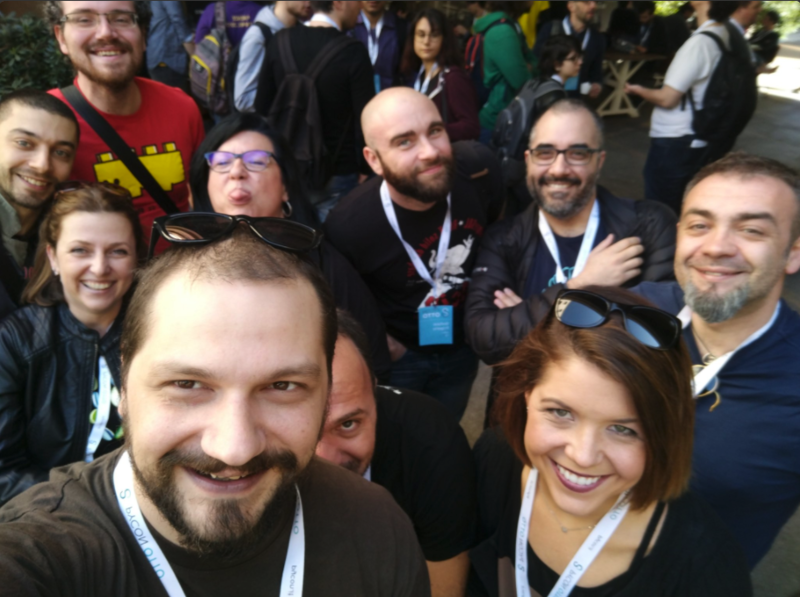 I’m glad my colleagues encouraged me to attend the conference – and now I want to encourage you: Get out there and see what the PostgreSQL and Open Source communities have to offer! There are so many great events all over the world – so it’s certain you can find one somewhere close! Check out the events we will be participating in through the next few months on our events page!